NITEP began as an elementary teacher education program in September of 1974 in response to needs expressed by Indigenous people throughout BC for a more effective and relevant teacher education program. As of September 2004, a secondary option for those who want to teach Grades 8 to 12 was established. Current Bachelor of Education (BEd) program options include Elementary & Middle and Secondary. Indigenous people want a teacher education program that addresses educational issues pertinent to public and First Nations schools settings where their children attend school. These issues include curriculum, teaching methodology, testing and assessment. Indigenous people want a teacher education program that honours and builds upon the individual’s culture. There is a shortage of Indigenous teachers in BC, and an increasing number of Indigenous people desire to become teachers. NITEP was designed to meet these particular needs. The intention of the program is to build upon and strengthen the cultural heritage and identity of the professionals in training. Using these strengths as a base, students develop the skills and academic knowledge expected of beginning educators. NITEP is a five-year concurrent program, although many students choose to complete the requirements in less time. Up to 12 credits may normally be completed during a summer session. 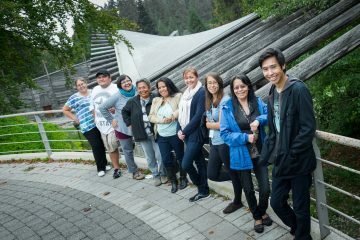 The First Nations Education Council*, which developed and advises the program, is made up of Aboriginal educators, UBC Faculty, coordinator representatives, a BCTF representative, and NITEP student representatives. *The NITEP Advisory Committee underwent a name change as of February 1995. The NITEP logo is based on a legend that comes from the Northwest Coast of BC and is found in one form or another in some Aboriginal cultures. The legend tells of the time when the earth was in complete darkness. Raven flew through a hole in the sky and took the sun in his beak. He then brought it back through the hole to give light to the earth. The logo shows Raven with sun in his beak superimposed over a circle that represents a hole in the sky. The NITEP Advisory Committee (renamed the First Nations Education Council in February 1995) thought this would be a fitting symbol because NITEP hopes to bring the light of education to Aboriginal children in a much more effective way than has happened in the past. The logo was designed by Philip (Opie) Oppenheim, a Nlaka’pamux artist.